We celebrate the long history of our nations military with a fantastic array of military apparel inspired by the various branches of the armed forces. 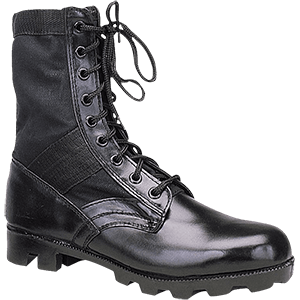 Our military and tactical clothing includes items for men, women, and children, such as excellent military grade boots and shoes, military hoodies and jackets, camouflage clothing, and much more. 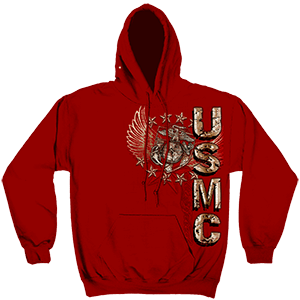 Many patriotic t-shirts display intricate graphics that honor the Army, Marine Corps, Air Force, Coast Guard, and Navy. Our tactical and camo clothing works great for hunters and survivalists, as well, including items like hats, vests, uniform pants, and shorts. This military clothing offers functional and distinctive style to any wardrobe, so be sure to take some time to browse the great products in these categories! Patriotism is not just a word to casually throw around or show when it suits you. We definitely do not mind showing that we are patriotic to the core! Here, you can find all manner of All-American shirts that are designed to pay homage to the men and women who signed up to serve with the United States Armed Forces. 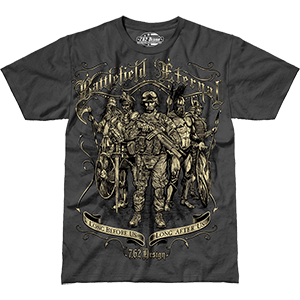 Many of these military t-shirts are ridiculously awesome with intricate graphics that are sure to impress. Some designs even use a touch of humor to ensure they stand out. Whether you are interested in the Army, Marines, Air Force, Navy, or Coast Guard, you will find a great patriotic shirt among our array of mens graphic tees. Perfect for veterans and civilians grateful for the service of our soldiers, these armed forces t-shirts make great gifts, as well. Patriotism is not just a word to casually throw around or show when it suits you. We definitely do not mind showing that we are patriotic to the core! Here, you can find all manner of All-American shirts that are designed to pay homage to the men and women who signed up to serve with the United States Armed Forces. Many of these ladies military t-shirts are ridiculously awesome with intricate graphics that are sure to impress. Some designs even use a touch of humor to ensure they stand out. Whether you are interested in the Army, Marines, Air Force, Navy, or Coast Guard, you will find a great patriotic shirt among our array of womens graphic tees. 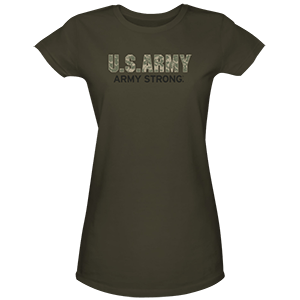 Perfect for veterans and civilians grateful for the service of our soldiers, these womens armed forces t-shirts make great gifts, as well. 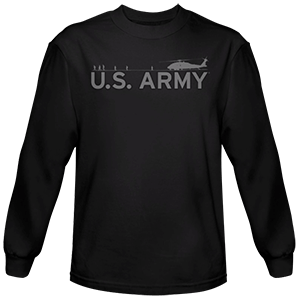 When it comes to displaying your pride in America, our selection of military long sleeve shirts offers you a wide choice of graphics, logos, mottos, and other imagery to suit your patriotic needs. Many of our long sleeve shirts pay their respects to branches of the United States Armed Forces, such as the Army, Marines, Air Force, Navy, or more, and the men and women who fight for freedom. Others honor the history of America, the Constitution, and the many rights it protects. Some are particularly appropriate for specific holidays, whether we honor Veterans, mourn losses, or celebrate victories. With graphics of eagles, flags, soldiers, cities, and more, these long sleeve shirts are sure to suit a variety of patriotic tastes. Camouflage clothing possesses several advantages that elevate it over regular apparel. Tactical apparel makes hiding among trees and foliage easier when hunting or in survival situations, and it is great for adopting a soldier aesthetic into your wardrobe. 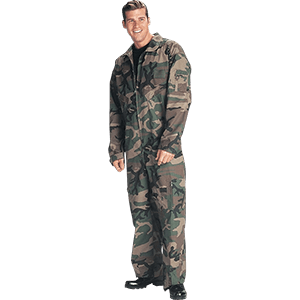 We carry a wide assortment of camo print garments suitable for woodland, desert, and urban environs. We offer excellent digital camo shirts, camo field jackets, camo tactical vests, fatigue pants, low-profile hats, and more. 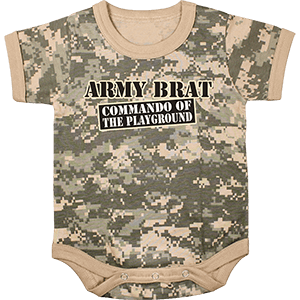 This military apparel comes in designs suitable for men and women, so the whole family can match. This tactical clothing is designed for durability, so you are sure to be impressed by the comfort and craftsmanship of the excellent camo attire. When an emergency strikes and you find yourself in a survival situation, be sure you are prepared. Stock up on our military clothing accessories for items that will provide extra protection and utility. 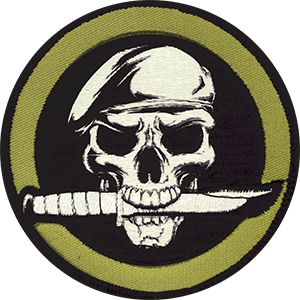 Here you will find survival gloves, tactical face masks, battle belts, camo hats, patches, caps, and even zombie survival accessories to help you make it through just about anything. 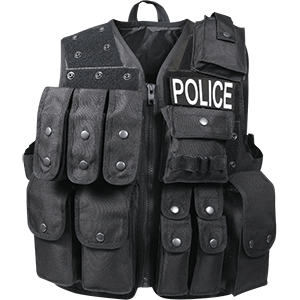 Be ready for any sort of emergency, disaster, or rescue operation with the survival clothing accessories here. We have military clothing accessories in a variety of styles, including digital, desert, and arctic camo print alongside sleek, tactical black.